Chrome for iPhone has finally improved - Grand Meadow, Kasson, St. Paul | On-Site Computers, Inc.
With over a billion people using Chrome across the globe, it is safe to say that Google’s flagship browser is the most popular one in the world. And that is why it’s easy to understand why so many Chrome users are frustrated by its constant crashes and unreliability for the iPhone. But there’s good news. A recent update has improved Chrome for iPhone exponentially. But before we reveal just what improvements have been made, why was Chrome always crashing in the first place? Since the word Google is synonymous with the Internet, it’s a bit head scratching as to why the browser ever had crashing issues to start with. The Internet is their specialty of course. But the truth is Google is not completely to blame. And for all the Apple fanatics out there, the real source of the problem may be a bit hard to swallow. Because really, Apple is mostly responsible for Chrome’s previous crashing problems. The reason is that Google is forced to rely on Apple’s renderer - which is technology that arranges the photos, text, buttons and other components that appear on your screen. Furthermore, Google cannot correct a bug and support new web technology on their own. Instead, they have to wait for Apple to do it. So what it all really comes down to is that Apple limits the choices of Google, and other outside parties, from having complete control over their browsers, hence the crashing problems. So why is Chrome getting better on iPhone? And why now? It’s simple really. 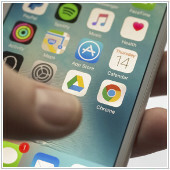 Apple has recently enhanced its browser software, which enables Google to make improvements. How has Chrome for iPhone improved? Looking for more iPhone news and tips? Have an iPhone or other IT related issues? Get in touch with our experts today.